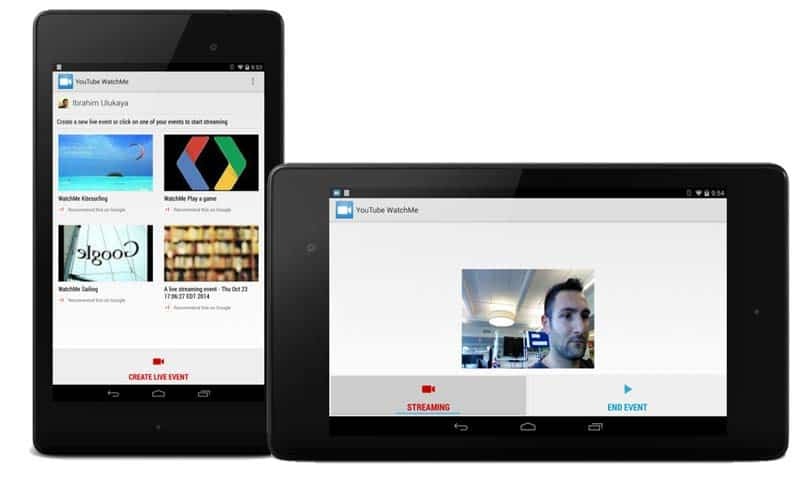 The search giant Google a new open source project, YouTube WatchMe for Android that will enable third party app developers to get live broadcasting capabilities in their apps. The project is available on GitHub and has a reference app designed for the Android operating system in order to create YouTube Live Streaming Events. With a simple interface, it allows an end user to press a button to start broadcasting from their phone to YouTube, and another button to end the event. Through the app’s interface, users can also tap a thumbnail to start a live broadcast session as well as recommend the broadcast on Google+. However, according to Google, the app is still in the experimental phase so the developers may face a few bugs. Through the WatchMe feature the mobile app developers can start, stop, view and share live events from within an Android app. YouTube already offers a live streaming functionality that enables event creators to capture and share live video with the help of either custom encoders and controls, and users to live stream a Google Hangout using their webcam.